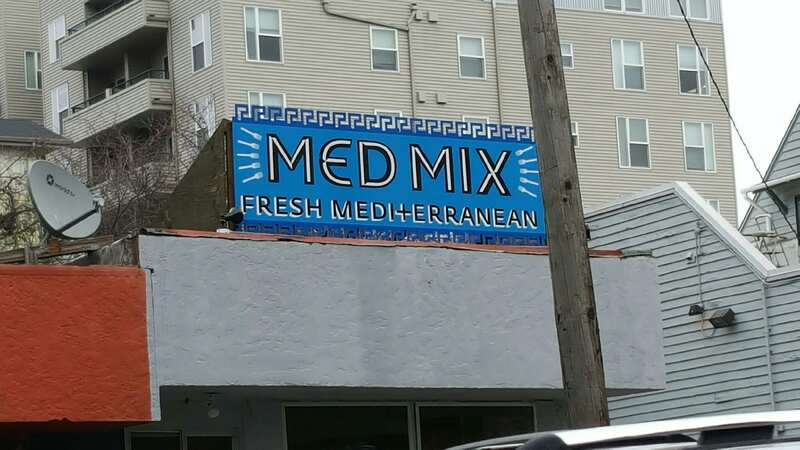 Med Mix is finally ready to return to the Central District. Owner Otmane Bezzaz confirmed with CHS Monday afternoon his new restaurant is under construction on S Jackson and says he is happy to be returning to the neighborhood after a 2013 arson fire destroyed his first Central District location at 23rd and Union. “It’s been a three-year nightmare,” Bezzaz told CHS of the long, painful process of losing the 23rd and Union restaurant after just over a year of business at the corner. The 2013 fire brought many concerns to the neighborhood as development was beginning to increase in the area and an immigrant business was apparently targeted in a crime that remains unsolved. Today, the corner is home to Uncle Ike’s, the largest pot retailer in Seattle owned by Ian Eisenberg, whose company purchased the land for $750,000 in 2010, according to King County records. Med Mix expanded to 23rd Ave from its Pioneer Square home and opened the new shop in the spring of 2012. By the summer of 2013, it was gone, torched in a damaging arson fire that reminded many of the seeming ongoing curse for businesses at the corner where previously the owner of Philadelphia Cheese Steak was gunned down in 2008. While Bezzaz says the arson fire still pains him and dealing with the insurance company was frustrating, he is looking forward to opening on S. Jackson near his home and in the neighborhood where his girls went to school. “It will have the same food that people love,” Bezzaz promised. The new Mediterranean Mix will open in early 2017 at 2204 S Jackson. This entry was posted in Food & Drink, News, etc. and tagged central district, jackson by jseattle. Bookmark the permalink. Was any suspect ever arrested for the arson? Why do I guess not. The police did bring in two people. They were on the security camera footage. Story got buried in the news. Don’t know the outcome. Very glad to see this. I hope the new iteration of Med Mix will be a great success and a good place for the neighbors to meet.